Independent Agents Help You Understand The New Changes in Mass. Auto Insurance. Auto insurance in Massachusetts has undergone sweeping changes over the past year. Your local Independent Insurance Agents want to make sure that you have a good understanding of the changes that have occurred and how they may affect your auto insurance rates. 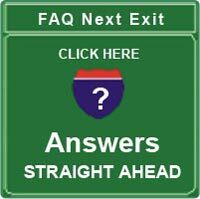 To assist you, massauto.com has assembled the answers to the most frequently asked questions about these changes. Click here for answers to your questions. Check out Discounts, Credits and Policy Features. We've also put together a chart of what the most popular companies offer - like discounts, credits, and special policy features that may benefit you and your family. Click here for the chart.. Person To Person Service Makes All The Difference. Unlike large, faceless corporations, Independent Insurance Agents are independent businesses located right in your community. They don't just "sell" you a policy. They are there for you day in and day out to provide the person to person service you want and deserve ... when you have questions, when you need to make changes in your policy, and, most importantly, when you have a claim. What Every Consumer Should Know About Buying, Insuring or Renting a Car. As an added benefit to the person to person service you receive from your agent, Independent Insurance Agents have developed several consumer guides that will simplify the complexities of buying an insurance policy, purchasing a new vehicle, or renting a car. Is a six-month auto policy good news for you? Maybe not! The Massachusetts Association of Insurance Agents (MAIA) has issued a press release to let consumers know they have a statutory right to a one year policy and warning of the pitfalls of six-month policies. To read the release, click here.